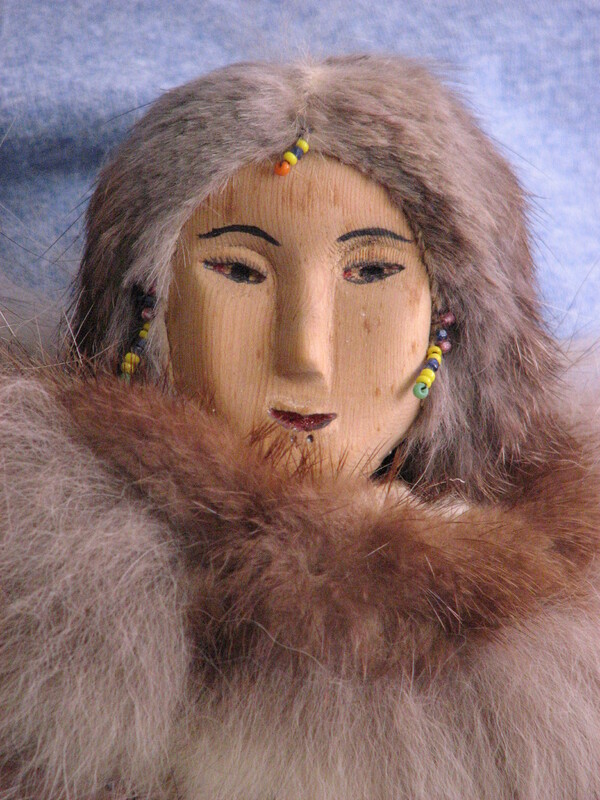 This 14 inch high doll has a carved wooden face is part of the Cleora Helbing Native American Arts and Crafts Exhibit. The jacket has very fine beadwork. The doll even has an undergarment. 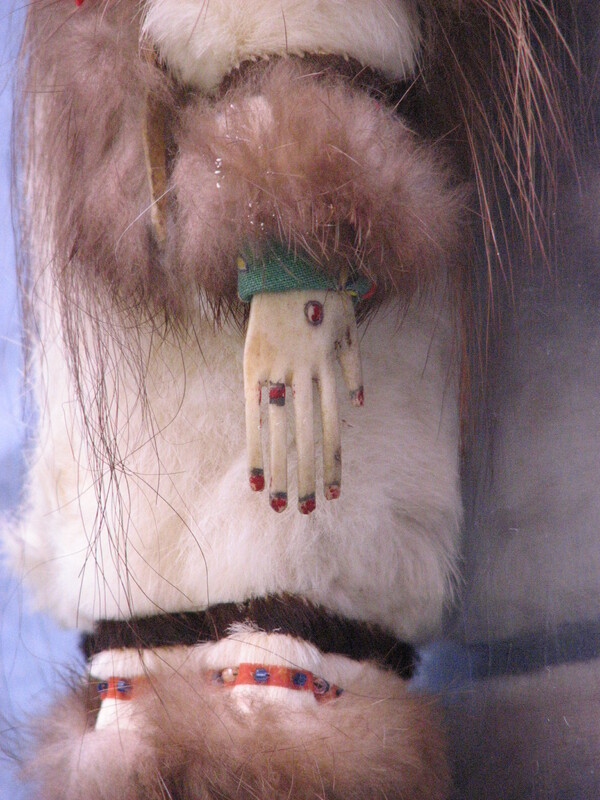 We believe that the hands are carved from bone. 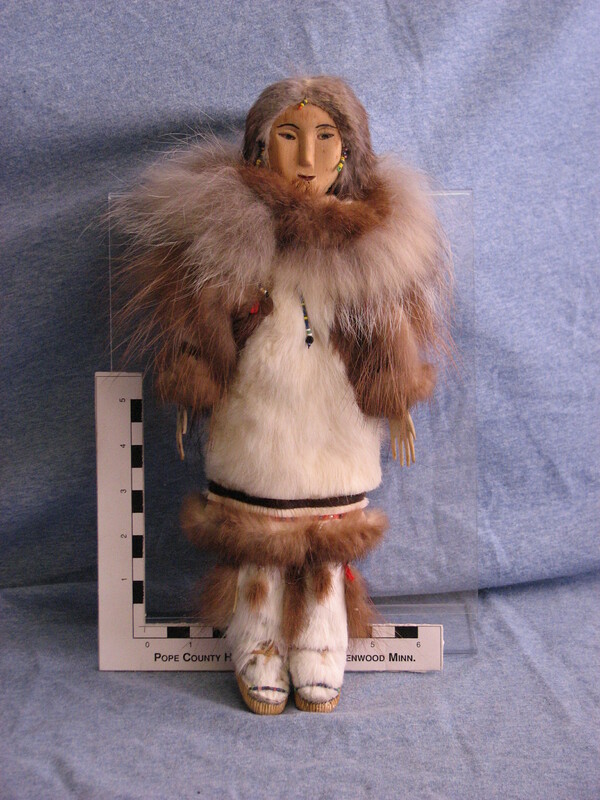 This entry was posted in Collection Notes and tagged Alaska, Cleora Helbing, Doll, Eskimo, museum collection, Pope County Minnesota, Pope County Museum. Bookmark the permalink.